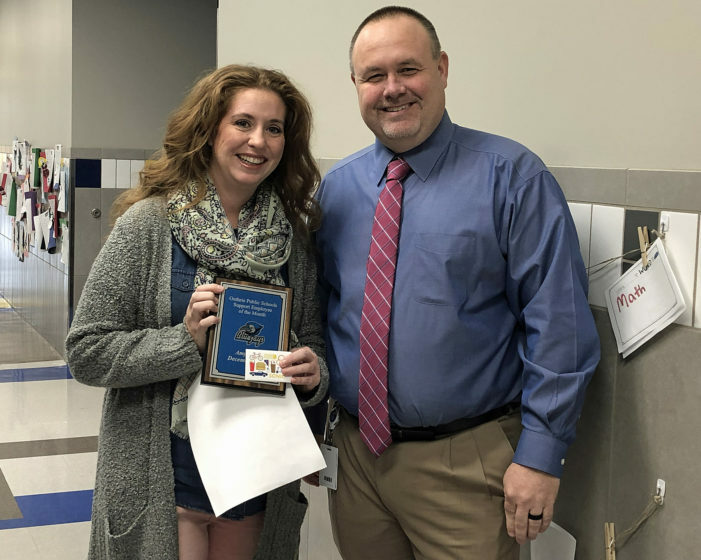 Amy Cook accepts her plaque and gift card from Charter Oak Elementary Principal Jeff Ball. Guthrie Public Schools recognized their December Support and Certified Employees of the Month. Charter Oak Principal Jeff Ball nominated and presented Amy Cook, a paraprofessional at Charter Oak, as the Support Employee of the Month. 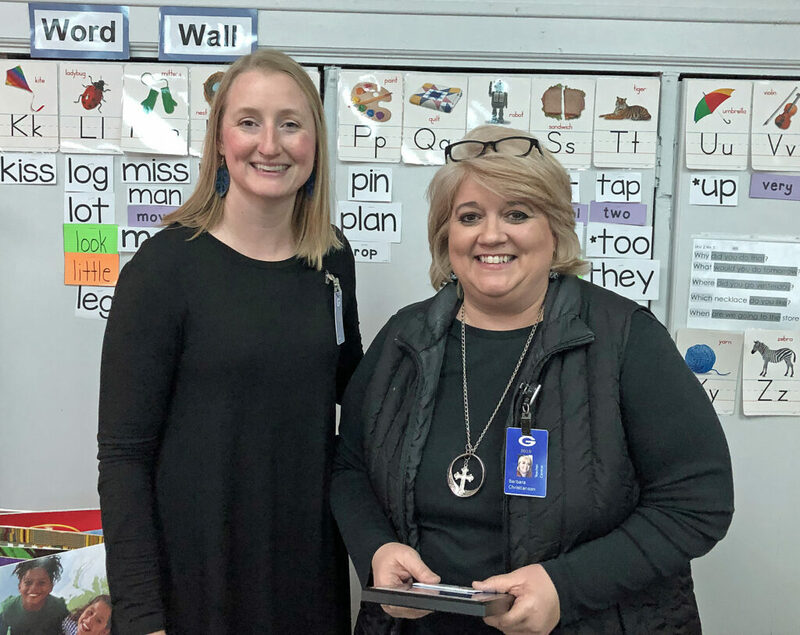 Central Elementary Principal Dani Watson nominated and presented Barbara Christianson, a first grade teacher at Central, for the Certified Employee of the Month. “Congratulations for being selected as the December employees of the month,” Asst. Superintendent Doug Ogle said. Barbara Christianson accepts her plaque and gift card from Central Elementary Principal Dani Watson.